There's plenty of room for all kinds of items in this stylish Bestar bookcase. Accessible open storage provides ample room for displaying framed photographs, knick-knacks, books, and other objects. Sturdily constructed, this Bestar standard bookcase is a great addition for your home. This Monarch Specialties bookcase has eye-catching design and durable features. Accessible open storage provides ample room for displaying framed photographs, knick-knacks, books, and other objects. Your items will be well-protected and organized thanks to the sturdy construction of this Monarch Specialties standard bookcase. There's plenty of room for all kinds of items in this stylish Monarch Specialties bookcase. Its open storage design lends to easy access and displaying of all your favourite books, knick-knacks, and photographs. Thanks to the sturdy construction of this Monarch Specialties standard bookcase, your items will be well-protected and organized. 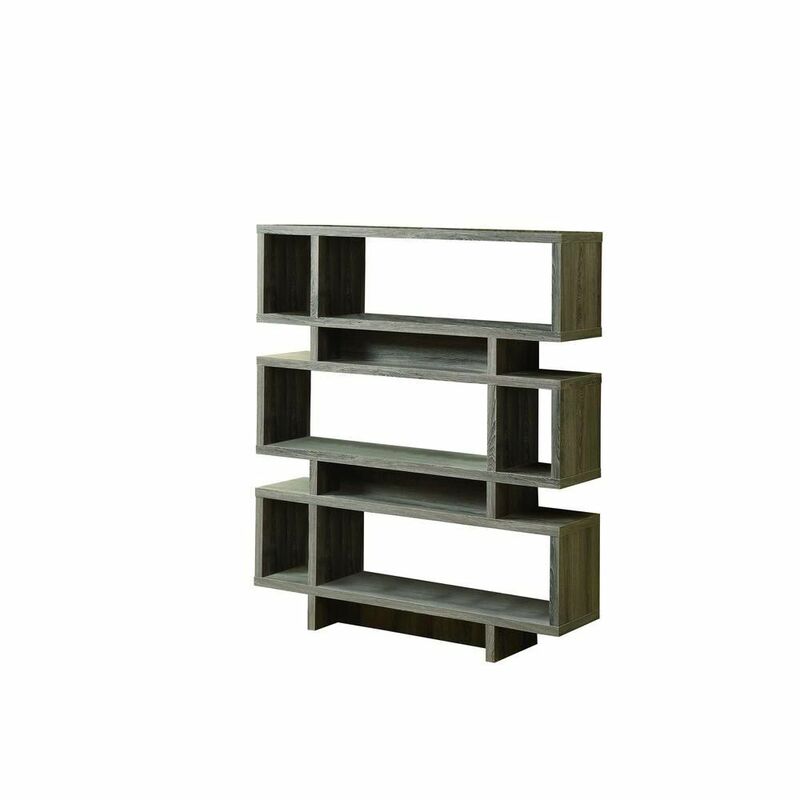 47-inch x 55-inch x 12-inch 3-Shelf Manufactured Wood Bookcase in Grey Perfect for any contemporary room, this stylish Monarch Specialties bookcase has plenty of room for all kinds of items. Store your favourite books, knick-knacks, photographs, and other items in its top-notch open storage design. Designed for lasting durability, this Monarch Specialties standard bookcase comes with a sturdy structure that will keep your items well organized.